ISC Staffing, formed in 2002, is a professional management company that specializes in providing senior-level project management and support staff for industrial and commercial construction sites nationwide. Our project experts provide execution management from engineering to startup for industrial EPC & commercial design. Build contracts in all phases of the chemical, refining, manufacturing, pipeline, marine industries, and commercial job sites. When you contract with ISC Staffing for your project, our managers and support staff are “seconded” to your company staff and you can trust we’ve thoroughly reviewed resumes and work histories before you interview them. Our management team will wear your logo, colors and gear, so they appear and function as a fully-integrated member of your team and report directly to a member of your company staff. Once the project has been completed our managers are moved to another project and you do not have to terminate or worry about other normal employee issues. We handle it all. With our high standards for hiring, you’ll be sure to only have the top caliber professionals managing your project. 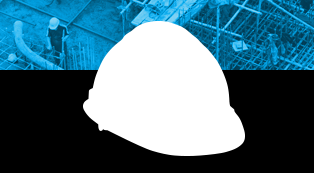 ISC Staffing is a proud subsidiary of the DeJean Companies, an industrial construction powerhouse with a reputation for safety, quality, and unmatched performance in the industry. You know where we’ve come from. Now be part of where we’re going. Talk to ISC about your next project today.